The Marist nature of St Joseph’s College emphasises a family spirit, experienced in the welcoming, inclusive and supportive College community. The renowned ‘Joeys family spirit’ is a defining characteristic of the College and is one reason families feel confident in entrusting their son’s academic, spiritual, physical and social care to St Joseph’s. Pastoral care permeates all aspects of College life. All members of the College community accept they have a responsibility to ensure others feel safe, valued and happy. It is an important responsibility, and one that is taken very seriously by students, staff and Brothers alike. We are truly a family, and we care for one another as such. 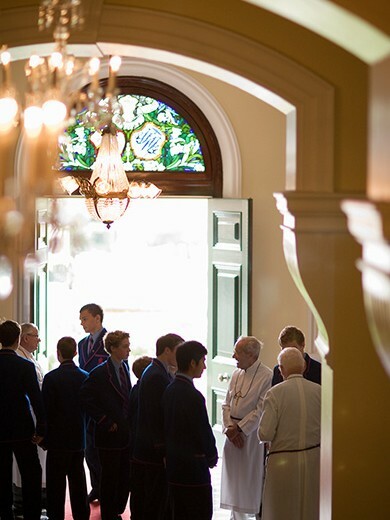 Pastoral care at St Joseph’s College focuses on the development and wellbeing of the whole person. Important and effective support structures and networks are in place to assist all students. Year group Boarding Coordinators and Assistant Boarding Coordinators maintain strong and supportive relationships with both the boarding and day students under their care. Day students are allocated press (cupboard) spaces within boarding areas and have access to the same support networks and facilities as boarding students. All staff at the College make personal connections with students to ensure each boy is being cared for and has available to him a confident point of contact. These connections may be formal or informal and help maintain the College’s strong family community. The College counsellor also helps support students and their families. The members of the Brothers Community provide valuable guidance, care and support and see the boys on a daily basis. They are a source of wisdom and encouragement and are devoted to the boys’ happiness and wellbeing. A peer support program operates for Year 7 students, who are given regular time to meet with their Year 11 buddy to learn about the College, ask questions and discuss any worries they may be having. Strong bonds are formed through the peer support program and Year 11 boys develop leadership skills as they mentor and guide their younger buddies. All relationships at the College are based on mutual respect and honest, open communication. All individuals are accepted for who they are and are celebrated for the gifts, talents and abilities they share with the College community. Celebrations are an important part of the pastoral life of the College. Regular Masses and liturgies are an opportunity to celebrate faith and spirituality, while other events are held to mark special occasions and successes (e.g. academic, sporting and days of national significance). 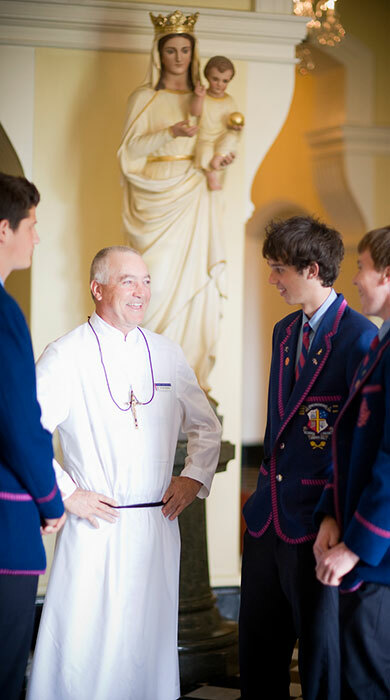 Discipline forms part of effective pastoral care at St Joseph’s College. It encourages students to learn from their mistakes, be aware of the consequences of their actions and consider the needs and rights of others. The College takes a firm, but fair stance on discipline, working in close partnership with families. Students are encouraged to exercise self-discipline, respect and courtesy and take pride in themselves, their work and their College.